Statistics are more than numbers. They’re a window into the world. And not just the world of baseball! 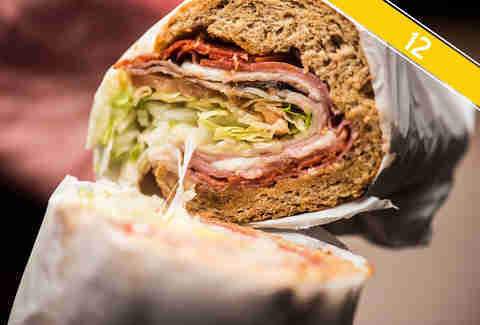 Forget Sabermetrics for a minute, and let’s talk Sandwichmetrics. Below you’ll find 11 numbers that give you a seriously inside look at Potbelly, the nationwide neighborhood shop that serves… wait, how many sandwiches a year? Thirty-seven million. That’s how many sandwiches Potbelly sells every year, give or take. If you lined them up end-to-end, they’d stretch 5,287 miles, or the distance from Chicago to Rio de Janiero -- though once they arrived at Rio the sandwiches would abandon almost all of their bread and run around with all their ingredients exposed. Six million'd be the number of “A Wrecks” Potbelly sells annually. Apparently America has a taste for salami. And roast beef. And turkey. And ham. And Swiss cheese. 700,000? That’s how many dollars a day the online game Kim Kardashian: Hollywood was pulling in at its peak! 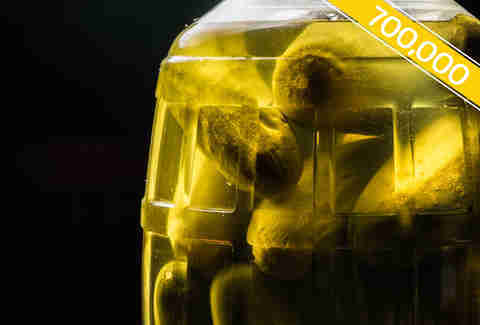 But more importantly, it’s how many pickles Potbelly goes through every year. 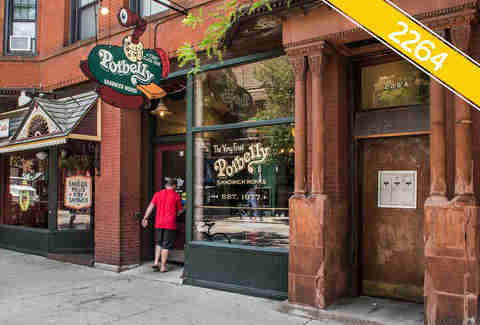 6/9/2015 is the date Potbelly launched its newest nosh (in most locations! 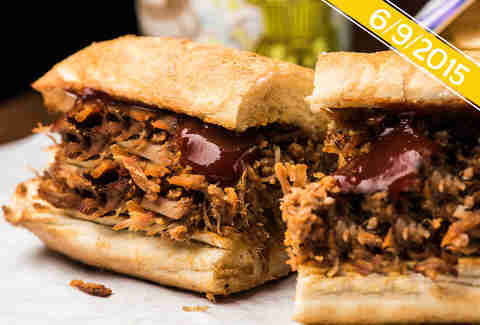 ): the tender, slow-smoked, sweet-and-tangy-sauced Barbeque Pulled Pork Sandwich. If you think it’s easy to launch a new Potbelly sandwich, think again. 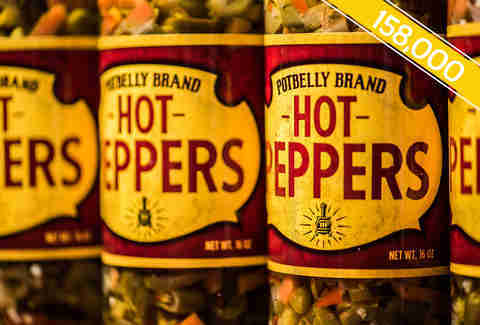 But man cannot live on pickles alone, so Potbelly also goes through almost 160,000 gallons of hot peppers every year as well. Specifically, 2264 Lincoln Avenue. That’s the Chicago address where Potbelly opened its very first store in 1977. It’s still open today if you want to stuff some delicious history in your mouth. 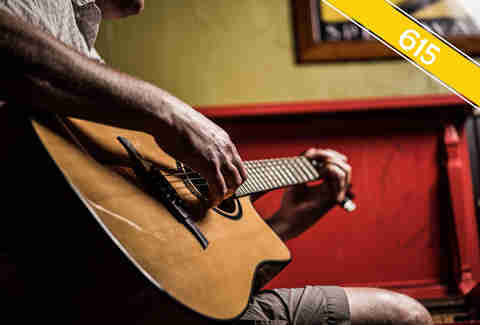 615 is both 3 more home runs than Jim Thome’s career total, and the number of local musicians who played in Potbellys across America in 2014. 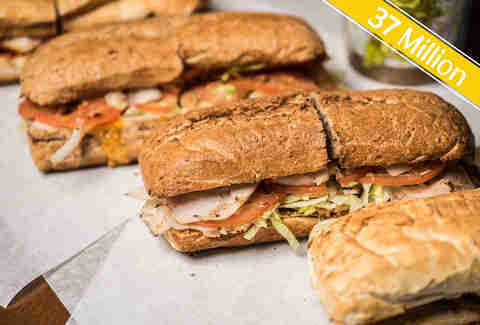 The Potbelly Promise says that you’ll have a tasty, toasty sandwich in your hands within 8 minutes (or 480 seconds -- math!) of ordering. 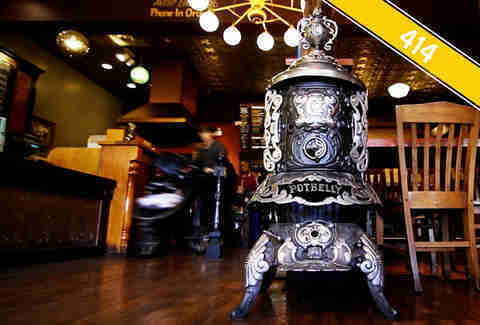 414 represents the number of potbelly stoves in Potbelly’s collection, which they’re pretty sure is the largest in the world. Almost every store has one, to remind staff and customers of a time when the stoves served as the centerpiece of gatherings where people would eat and discuss the day’s events, like, “Can you believe that Teddy Roosevelt fellow?” or “Man wasn’t meant to fly." 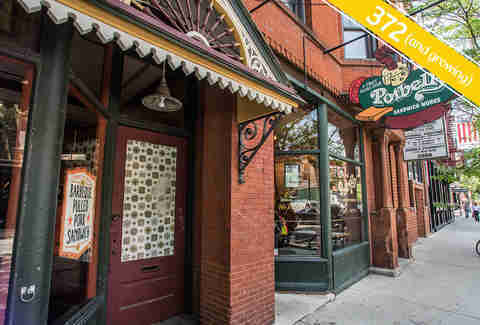 A healthy 372 Potbelly shops have opened since ‘77. So you don’t have to go to Lincoln Avenue to get your fix. 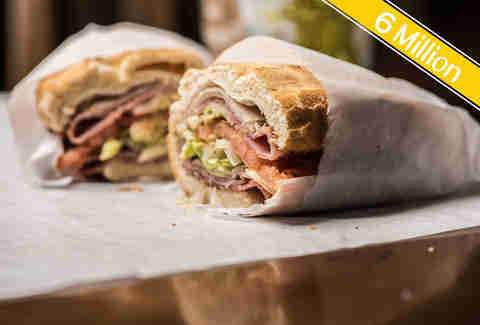 There are an even dozen “underground sandwiches” on Potbelly’s menu. Well, not on the menu, because they’re secret, but you get the point. If you want to see some of them, check this out.